We pride ourselves on being a small firm that prevents and solves large, complex problems. Mark Jacob, CEG (317) 429-3962. 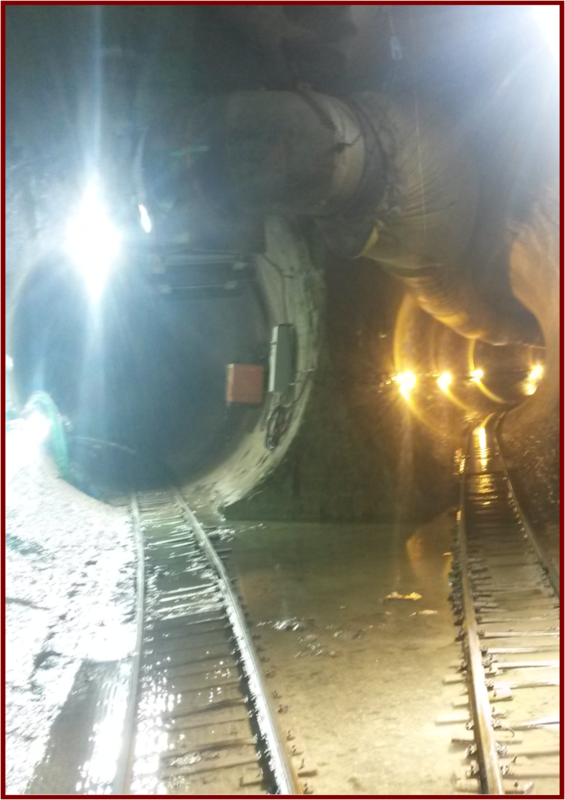 7NT personnel have been part of the Deep Rock Tunnel Connector (DRTC) mega-project since its preliminary design phase in 2007. The DRTC is part of Citizen Energy Group’s (CEG) federally mandated plan to curb the overflow of raw sewage into local bodies of water. The system will store 200 million gallons of sewage during and after wet weather events. 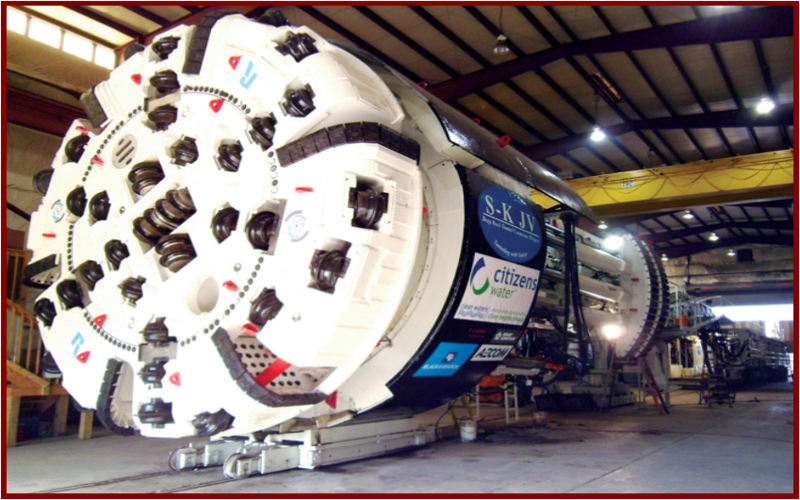 The $270M tunnel & pump station DRTC project commenced construction in December 2011. 7NT continues to service the project. 63 borings ranging from 15’-305’ deep with overburden from 50’- 115’. Overburden drilling included dealing with predominantly heaving sands while conducting standard penetration testing, split spoon sampling, and Shelby tube sampling. 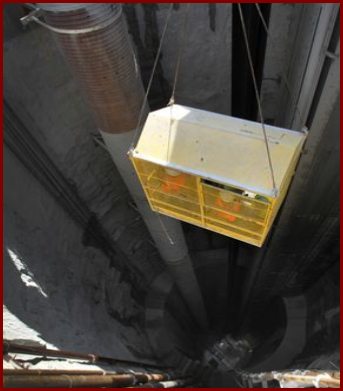 38 piezometers were installed totaling approximately 4,000 feet. Approximately 250 hours of Packer testing was performed. A total of approximately 6,500 feet of HQ-size rock and 4,500 feet of overburden was drilled/cored for the project. Quality of rock cores obtained required minimal to no preparation by the laboratories to perform designated testing. Due to the time constraints of the overall project schedule, dictated mostly by EPA consent decree mandates, the drilling needed to be performed on fast track basis. Up to 6 drill rigs were utilized to complete the drilling in approximately 17 weeks. The drilling was performed through the harshest weather of the year (December to March). The drilling program was completed ahead of schedule and under budget. 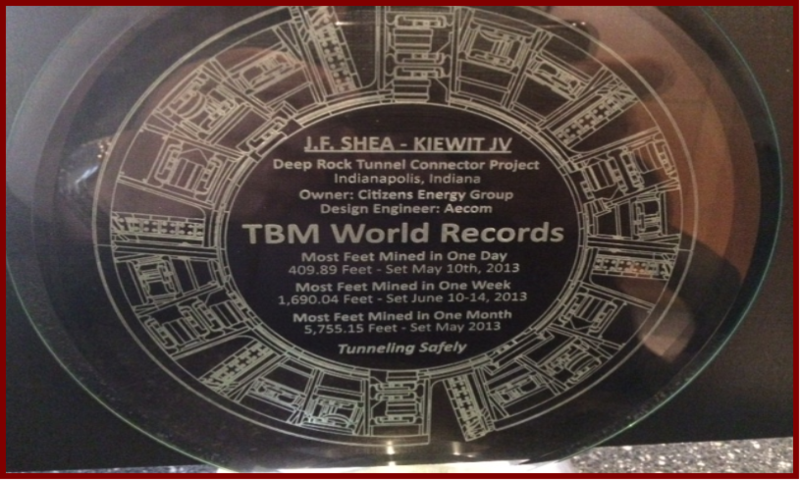 In addition to design services, 7NT personnel have also played an integral role on the Construction Inspection team providing several inspectors (both underground and on surface), construction administration staff, and materials testing technicians for soil (levee embankment extension), shotcrete (shafts and tunnel), and concrete (tunnel lining and pump station). The DRTC Project is a great representation of who 7NT is as a company. We are a small company that works on very large projects. Our highly complex, specialized services have found us working on projects all over the country at the request of clients. 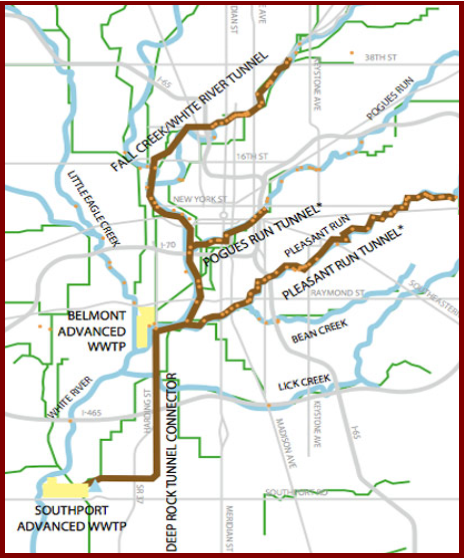 7NT was awarded contracts for construction management services for the next 4 upcoming tunnels, and associated sewers, in Indianapolis as a result of the success of this project.